Nan is another interesting tourism town in northern Thailand. 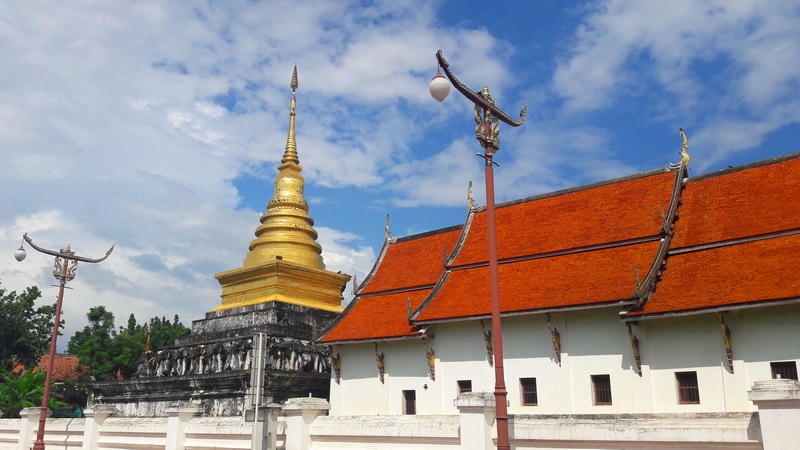 The province is in the remote Nan River valley, surrounded by forested mountains, the Phlueng Range in the western part and the Luang Prabang Range in the east. The highest mountain is the 2,079 meter high Phu Khe in Bo Kluea District, northeast of the city of Nan towards the border with Laos. The province is divided into 15 districts (amphoe). These are further subdivided into 99 sub-districts (tambons) and 848 villages (mubans). Its beauty isn’t only about national parks, mountains, and natural surroundings, but also valuable cultural heritage. That means, Nan is a town where you can learn a lot about historical and traditional things, including lives of those ethnic groups in the town. The north and the east of Nan connect to Laos. The south coonects to Uttradit Province. 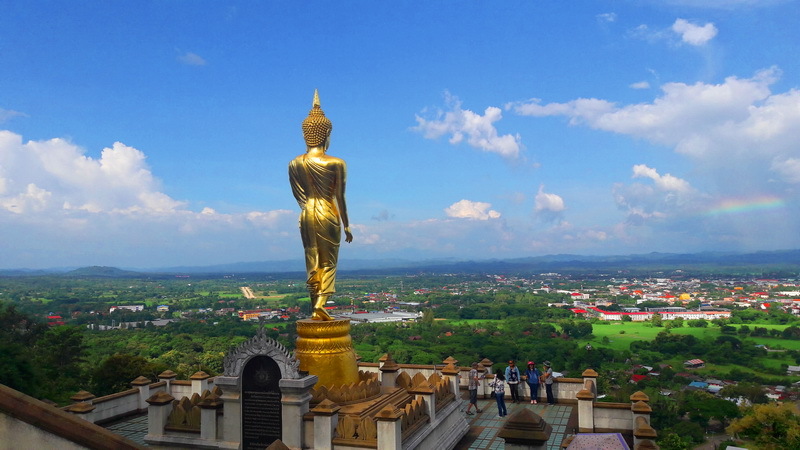 The west connects to Phayao and Phrae. Therefore, various types of culture will appear. You will meet a lot of people and see what they do. You can also cross the border of the province to visit these nearby lands. Nan consists of plentiful natural resources. Most parts of the landscape are mountains. Also, Nan is an important river source. Here we’re talking about Nan River, which originates from the north of the province, flows into Sirikit Dam in Uttradit Province, meets Ping River, and, finally, Chao Phraya River. The weather there is also perfect. It has 3 seasons, yes. But, due to all those natural surroundings, there isn’t pollution. If you travel during winter, you can inhale the air into your lungs. Nan can be reached by plane, tour bus, or your personal car(if you can handle a marathon driving). But, as your suggestion, you should take a plane. That will be best. It saves your time. If you worry about the price, just book a ticket from a low-cost airline. Driving or using car/bus will make you feel exhausted, as it takes a lot of time. Especially, if you don’t get enough sleep, you shouldn’t drive at all. Save your energy for touring various places in Nan. Get your Thai northen costumes ready for better experience. When you visit some historical places like antique museums or temples, you will feel extremely happy and will also get stunning photos to show to your friends. Here are the list of attraction in Lamang. One thing that you should always have with you when you’re in Nan, is environmental consciousness. The province mostly consists of woodlands, water resources, and other natural surroundings. To be precise, it’s hard to find green areas these days, as humans have always deforested. Therefore, when you see beautiful nature in Nan, please keep it that way. No matter where you go or what you do: visiting a temple, having a camp in a national park, visiting a waterfall, or whatever, always remember that our children and grandchildren want to see beautiful nature too. So, let’s preserve it for them.